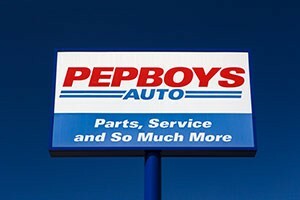 Icahn announced a plan to purchase the auto-parts company Pep Boys-Manny Moe and Jack (NYSE: PBY) today for $837 million. He's unhappy with the company's decision to sell itself to tire company Bridgestone and is fighting back with his own takeover offer. With a 12.12% stake, Icahn is PBY's second-largest shareholder. Money Manager Mario Gabelli is the largest. Monday, Icahn disclosed he had offered to buy Pep Boys for $15.50 a share, or $837 million. Bridgestone's offer was for $15 a share, or $835 million. Icahn's move puts a serious wrinkle in the Bridgestone-Pep Boys deal. That transaction would have boosted Bridgestone's retail network by more than a third in the United States. The deal would add some 800 stores to Bridgestone's 2,200 tire and car service centers. Pep Boys has been under pressure from investors for the last four years with revenue stalling. While other rivals benefited from a revitalized car market, Pep Boys stock is up just 29.6% in the last five years. The Dow is up 55% in that time. Right now, PBY shares are trading above Icahn's offer. That suggests some expect a bidding war. At $16.19, PBY shares are up 65% year to date. Late last month, Icahn disclosed a new 7.1% stake in Xerox Co. (NYSE: XRX). He called the business solutions company "undervalued." Icahn was also mentioned last week to be among those interested in acquiring Yahoo! Inc. (Nasdaq: YHOO).